A counting number is based on the idea of a unit. A unit could be a goat, a house, a cookie or anything. A UNIT is what we count one at a time. A COUNTING NUMBER is how many units we have counted. The term “fraction” comes from the concept of a “broken piece.” A unit may be broken into pieces and these pieces may then be counted. For example, we may break a cookie into 4 equal parts. Each part is called a quarter. We may then count 3 of those parts as three-quarters of the cookie. A FRACTION is part of a unit, which, in its turn, may act as a smaller unit. Thus, both numbers and fractions are based on the idea of counting. The Brotherhood established by Pythagoras believed that by understanding the relationships between numbers they could uncover the spiritual secrets of the universe and bring themselves closer to the gods. Today that basic search continues in terms of finding that one equation that would explain all universal phenomena. In particular the Brotherhood focused on the study of rational numbers as described in the essay Numbers & Consciousness. Rational numbers depend on the idea of ratio. A ratio tells you how many times a number is to another number in terms of the same unit. If Johnny is 10 years old and his father is 40 years old, then his father is four times as old as Johnny. The ratio of father’s age to Johnny’s age is 4 to 1. If Johnny’s mother is 30 years old, then his mother is three times as old as Johnny. The ratio of mother’s age to Johnny’s age is 3 to 1. Since the mother is 3 times Johnny’s age, and the father is 4 time’s Johnny’s age, the ratio of his mother’s age to his father’s age may be expressed as 3 to 4 using Johnny’s age as the common measure or common “unit”. To summarize, if a and b represent counting numbers then a/b represents a rational number. Here both a and b are multiples of some indivisible common unit. A RATIONAL NUMBER is a number that can be expressed exactly by a ratio of two counting numbers based on some indivisible common unit. It seemed at that point in time that rational numbers represented all possible numbers that could ever exist. A unit could be broken into smaller and smaller units making it possible to represent any quantity as a ratio of its mutiples. Therefore, it came as a big surprise when numbers, such as √2, were discovered that could not be written down as a ratio based on some indivisible common unit. It meant that no small enough common unit could be found for such numbers. The idea of an ultimate indivisible unit came under intense doubt. It was a discovery so illogical that it was rejected outright by Pythagoras. The following is the earliest proof available: (see Irrational number – Wikipedia, the free encyclopedia). The first proof of the existence of irrational numbers is usually attributed to a Pythagorean (possibly Hippasus of Metapontum.) The Pythagorean method at that time would have claimed that there must be some sufficiently small, indivisible unit that could fit evenly into the hypotenuse just as well as into the arms of an isoscles right angle triangle. However, Hippasus, in the 5th century BC, was able to deduce that there was in fact no common unit of measure, and that the assertion of such an existence was in fact a contradiction. He demonstrated clearly that there may exist numbers, such as √2, that cannot be expressed as ratios of two counting numbers. Hence, they are not based on any unit that can be counted. It is said that Pythagoras was so enraged that he ordered Hippasus to be drowned. These are irrational numbers. They defy the sanctity of the idea of a permanent indivisible unit. If you attempt to express an irrational number as a decimal you end up with a number that continues forever with no regular or consistent pattern. There can be two rational numbers that are infinitesimally close to each other, and yet there can be infinity of irrational numbers betweem them. There is no limit to how small the difference between two numbers can be. There was no going around this new consciousness that could not be disproven even when Hippasus was drowned. 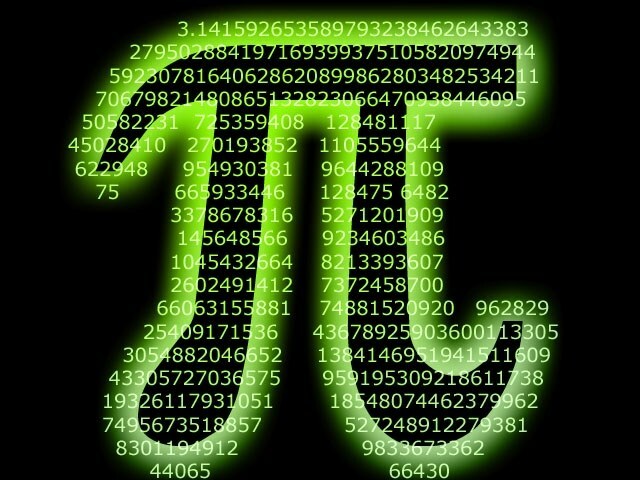 Today, the most famous irrational number is π (pi), which represents the ratio of the circumference of a circle to its diameter. They got Pythagoras mad because he was too rational. It makes sense that irrational numbers would do that. Beware of not becoming to identified with that concept otherwise you may miss some jokes! Nice post. may want to submit this to the Mathematics and Multimedia Carnival. This will increase your number of hits. And irrational numbers are a MUCH larger infinity than rationals. Of course! The universe is naturally irrational. Rationalizing it is kind of the problem. And KG, does irrationality supports discreteness? I think if the universe were smoothly continuous that I would see a greater incidence of rationality, KG? Vin? Godel? anybody?